Mr. Houseful is the pudding lover in our home. Bread pudding, rice pudding, banana pudding. I usually stay far away from them, because it invokes an unfortunate pudding accident circa 1996. It involves my dad, my siblings, a full sized baking pan, and the homemade pudding of one of the ladies at my church. We swore off of the stuff for life. Until now. 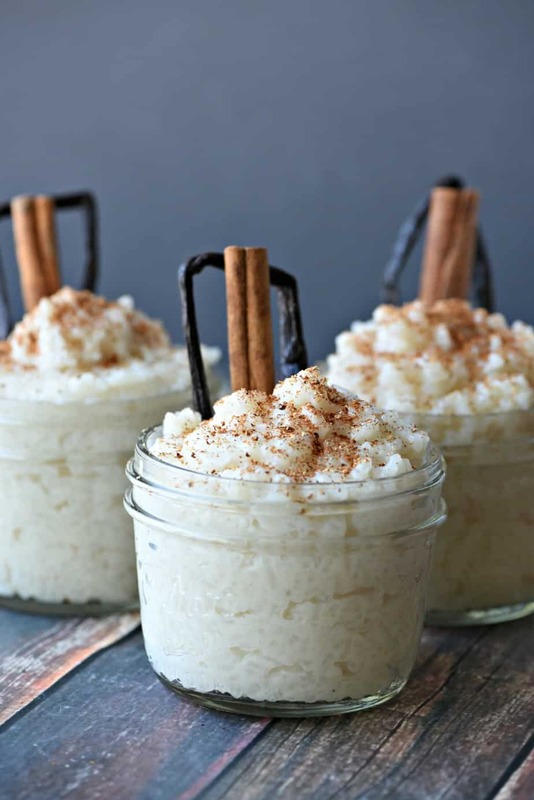 Shomari (Mr. Houseful if you’re not keeping up,) happens to be one of the people that I will try anything once for, and this month, it happens to be rice pudding. Now for a bit of background. Shomari is lactose intolerant. I am not. Shomari doesn’t always follow the rules for people who are lactose intolerant. I don’t have to. Keeping up? Also, Shomari wants to use ingredients that don’t taste as if someone is trying to pull the wool over your eyes. 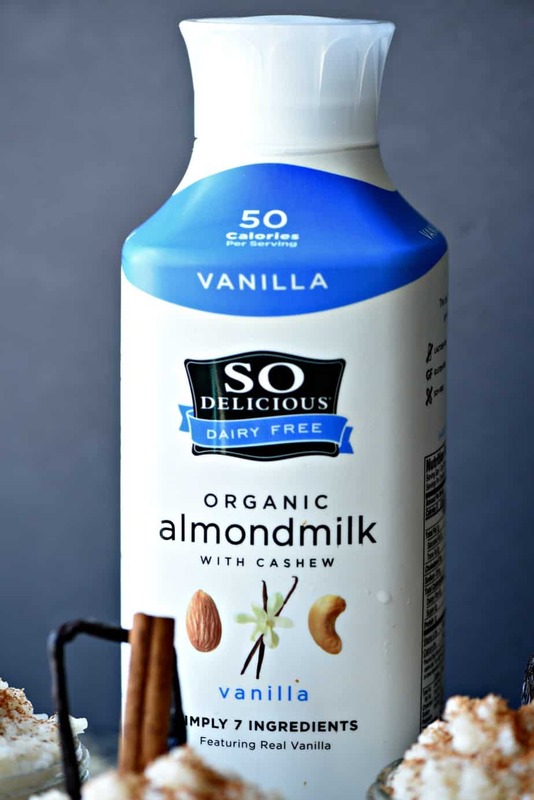 Enter So Delicious Dairy Free Almondmilk, and my expansive brain, and we have a winner. Of course, the first thought when attempting to figure out a recipe for this milk was a simple smoothie. We’re still going to do that, but it’s a bit cold in the Chi, and we wanted something that would stick to your ribs, but be easy to make. Rice pudding it was. The looks of incredulousness that the houseful of littles threw me was enough to let me know that I would indeed be finishing this experiment out, and I would come out on top. Check it out. answered as best I could, all while praying that my first attempt at making this iconic dish didn’t result in all of my family voting to give me away. It did not as you can see. The ladybug had two servings, and even I sat down with a warm bowl of it and enjoyed the nutty/sweet flavor of this dish. Now to try it cold. I picked up the 48 oz bottle at my local Target in the Dairy aisle (yes, I know…I’m sure they’re working on it) and used my Cartwheel app to save an additional 20% on the already low prices. Don’t know about Cartwheel for Target? WHERE HAVE YOU BEEN?! I have a bit of a contest going on with a cousin of mine to see if I can even catch up with their savings. They’ve currently passed $1000 in savings, and I’m seeing a good challenge. 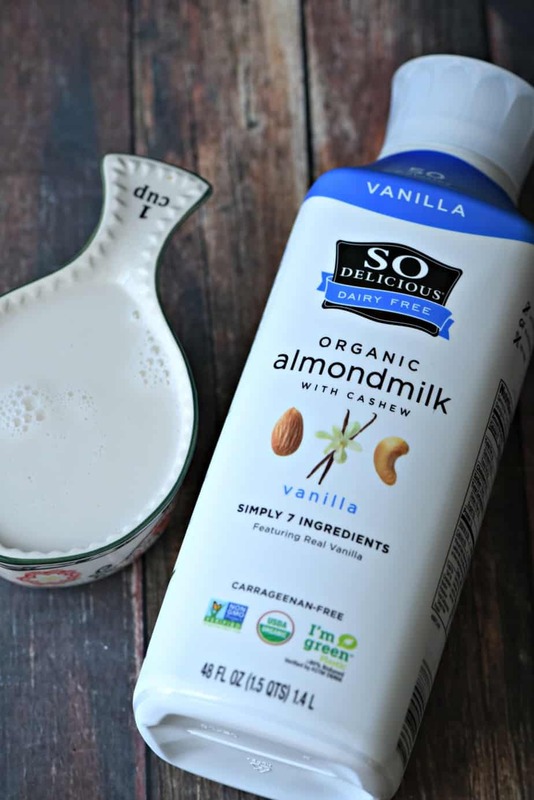 You’ll need So Delicious Dairy Free Almondmilk – I snagged the vanilla, but it comes in unsweetened and original flavors as well. 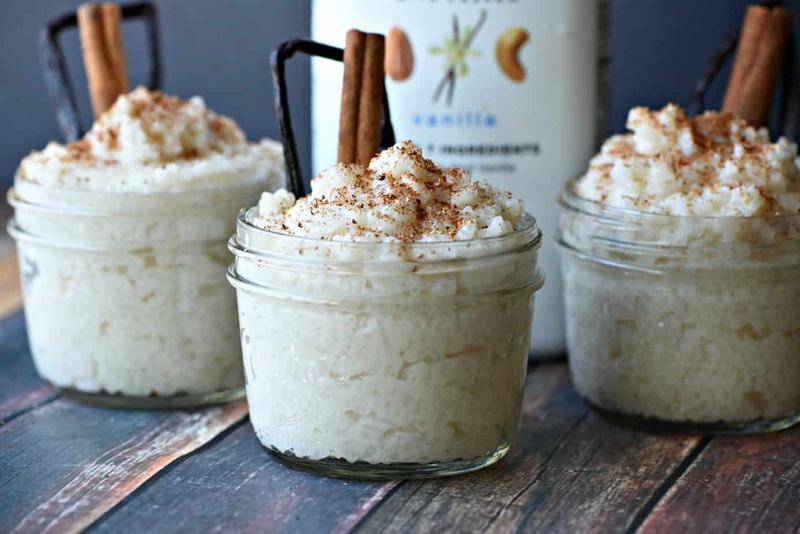 The rest of the ingredients are rice, sugar, salt, vanilla and almond extracts and whatever you want to top it with. I stayed simple and used cinnamon and freshly grated nutmeg. 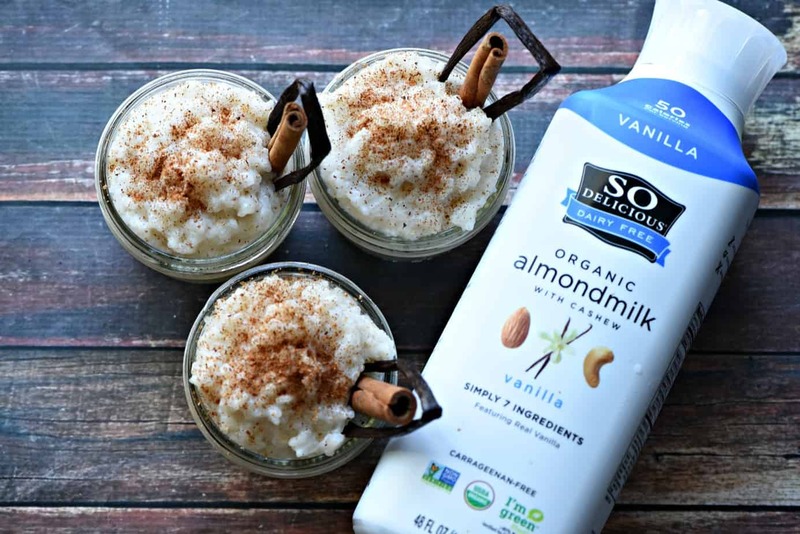 You can find the recipe below, and try your hand at making this rich and creamy breakfast or dessert – don’t let me tell you how to qualify it. After the milk absorbs into the rice, add 5 more cups of almondmilk (1 cup at a time) waiting for the milk to absorb until adding the next one. Cook until thick and creamy, and then add final cup of almondmilk and stir to incorporate. Plate and garnish as desired. Go crazy! Use nuts, berries or spices!